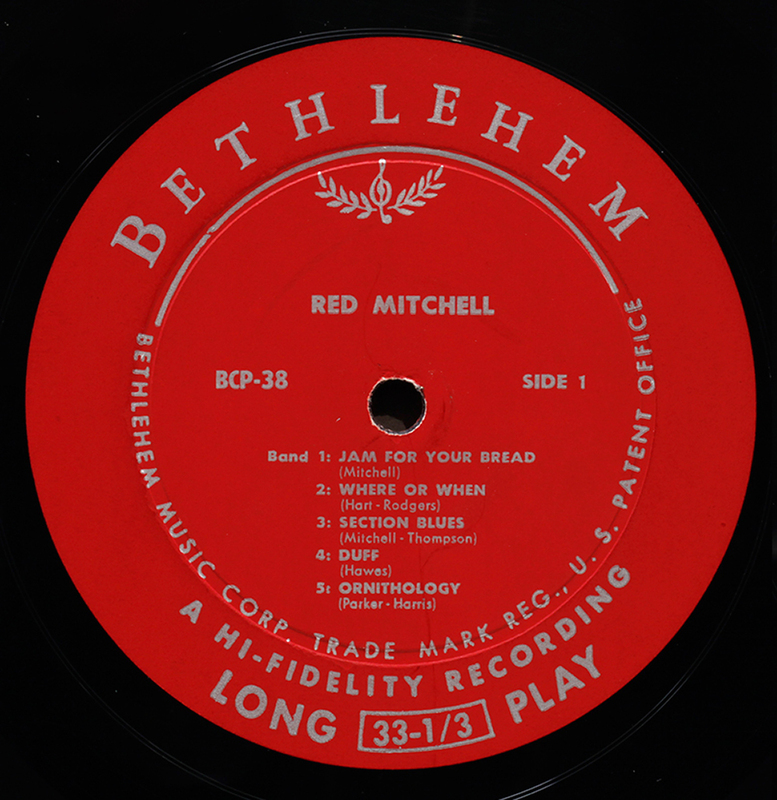 Based in New York and Hollywood, Bethlehem Records was founded by a Swiss émigré, Gus Wildi, in 1953. The label embarked on jazz releases produced among others by its A&R man Creed Taylor. The label distinguished itself by giving it’s artists significant creative control and was among the first to recognise the power of album cover art, many designed by Burt Goldblatt. Taylor left Bethlehem in 1956 to join ABC-Paramount , where he went on to found Impulse! Creatively, Bethlehem never really recovered from the loss of Taylor. Bethlehem licensed London Records for releases in the UK, many with original Goldblatt covers and superior pressing by Decca, making the first UK releases an attractive alternative to US Bethlehem originals. 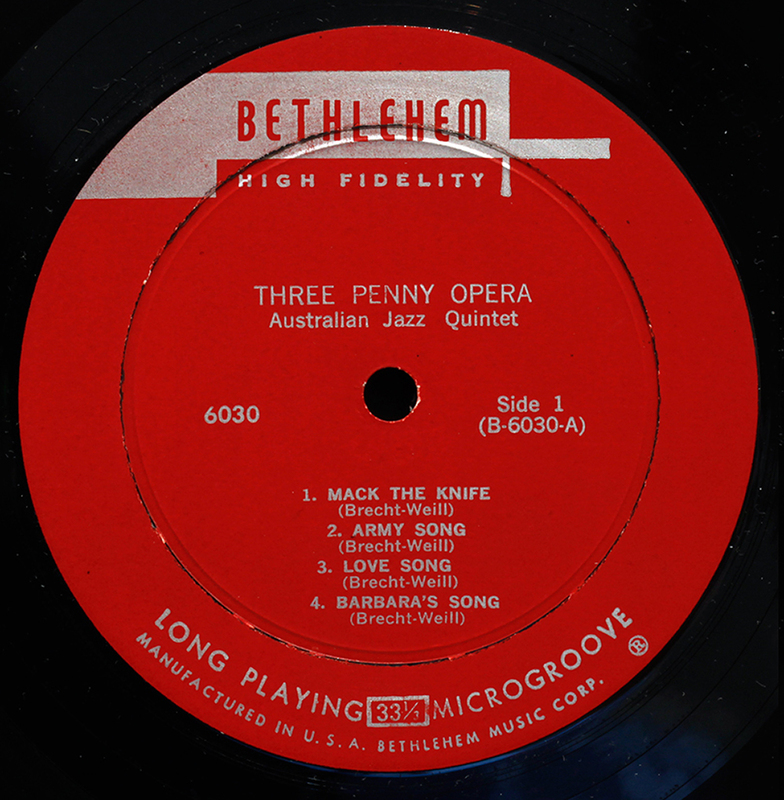 In 1958, Wildi gave Syd Nathan’s major label King Records half ownership in return for distribution and in 1962 sold the remaining half to King Records who subsequently allowed Bethlehem to fade away. 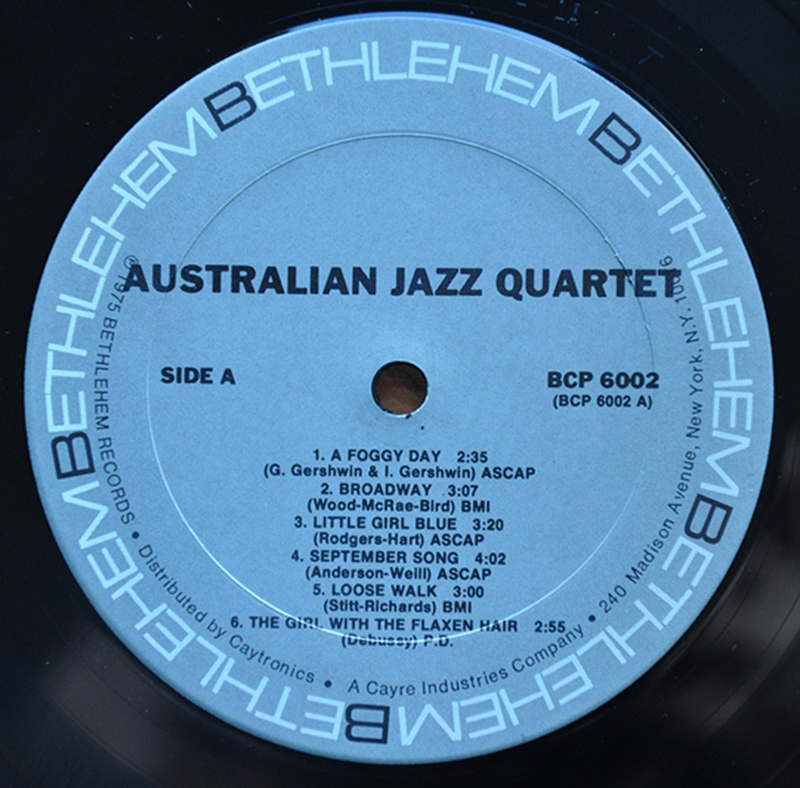 It is now owned by Verse Music Group (VMG), who are reissuing much of the Bethlehem Catalogue during 2013, including vinyl with “fully restored, original artwork and liner notes”. And deep groove? Speak up. Please forgive any ignorance as I am just beginning to explore jazz on vinyl. I just had an original copy of Mingus’ Modern Jazz Symposium (BCP 6026; red with silver box) come in, and upon handling the record, noticed that it felt somewhat light and rigid. Upon tapping the rim, it sounded tinny, resonating at a relatively high frequency. I noticed a similar phenomenon with a recently purchased 1958 reissue of Mingus’ Jazz Experiments (REP 212; green with silver box) on Rep Records, a budget spin-off of Bethlehem. By my understanding, these characteristics are in line with descriptions of shellacs (which I have no experience with), and I do not recall any of my other records exhibiting these qualities. I think you mean styrene, not shellac. “The plastic compound styrene was used as a substitute for vinyl in the production of records – mainly but not exclusively 45s – from the mid ’50s through to 60’s and 70s. Styrene was considered cheaper and more efficient than vinyl, at the expense of being more brittle, and more vulnerable to groove wear. EmArcy did a few second pressings on styrene. 36007 (Clark Terry) and 36061 (John Williams ). When comparing the first pressings on vinyl with the later styrene issues, I am struck by the absolute absence of any surface noise. The sound is so clean and pure. Styrene may have been cheap, it is certainly to be preferred over the cheap recycled vinyl used by some. 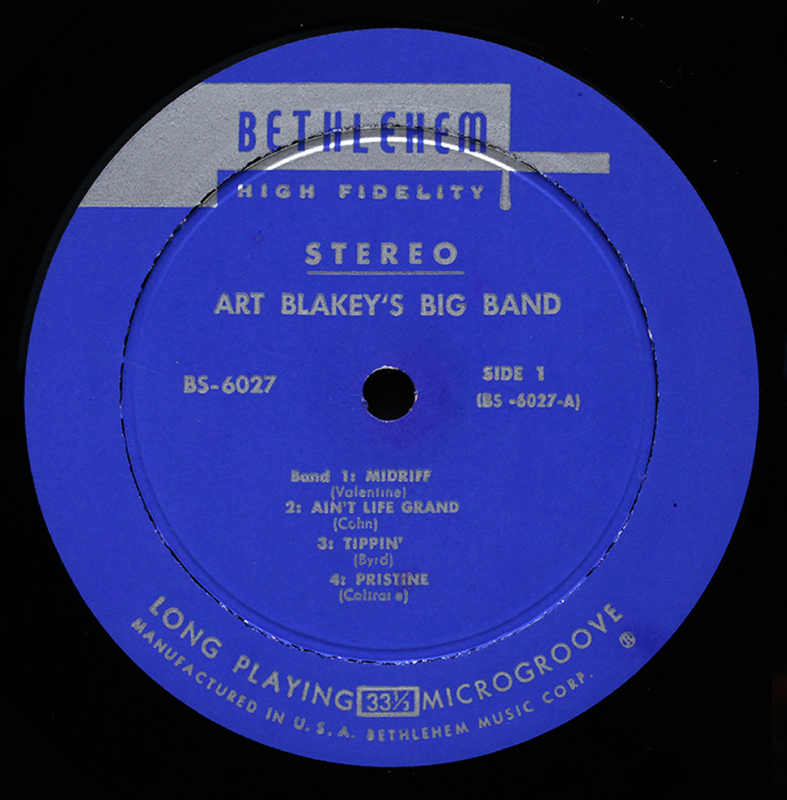 Looking at a Bethlehem catalog listing on the back of my album, I wonder if the change in Bethlehem’s numbering from BCP 10-80 to the 6000 series indicates the change from the 10-inch record to the 12-inch? Subsequently, was the change in label from the laurel to the silver box made during the transition from 10-in LP to the 12-in? If I am correct, the 10″ series are numbered 1001 etc. Two digit BCP were definitely 12″. Ah ok that makes sense. I’m trying to see if there’s a connection between the numbering system and the change in labels, so thank you. I both myself a copy of Daddy a Plays the Horn that is part of this reissue series. No deep groove. I have listened to spots and while it is crystal clear and balanced, Dexter Gordon just sounds loud all the time and the bass has no “pluck” to it. Planning to compare it this evening to my original copy of Stan Levy’s “This Time the Drum’s On Me” which also features Gordon as well as the same bass player (Leroy Vinnegar). Those reissues look very promising – assuming, of course, that the audio quality is high-ish. Difficult to find even decent copies of the Booker Little, Booker Ervin, and Mingus records for any kind of reasonable price.